Looking for fresh Pilates gift ideas? Look no more! 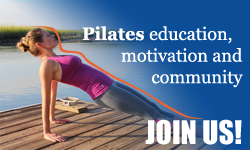 Here is your gift-giving inspiration for your Pilates-aficionado friends, collegaues, Pilates students or just a person that you would like to introduce to the wonderful world of Pilates. Even better, PilatesBridge 2017 Gift Guide has exclusive discounts that you can use to find the best deals this year. Melt away stress, release tightness and roll away muscle knots using sFera massage balls. This portable set of massage balls is a compact alternative to a foam roller that easily fits into a gym bag or an office desk. Use each ball individually or create a peanut/double roller that is guaranteed to access even the toughest knots in your muscles. Get 15% Off your purchase on Amazon in December only – click here. Normally I stay away from giving lipstick as a gift but with My Kismet Color program you can upload the picture of the person you are preparing the gift for and get recommendations on the best color choices. All of the recommendations that I received were spot on, I could not have picked better colors myself! Get 20% Off your purchase with code HOLIDAYLIPS. This soothing essential oil blend will guide you on the road to recovery after an intense Pilates session. Robust wintergreen and pine oils offer cooling and invigorating sensations to the body while pleasant aromas relax the mind. Get 15% Off your purchase with code PILATES15OFF– shop now. Note: during my trial I found that the tights run a bit small so go a size up to ensure a comfortable fit. This is the perfect outfit for any Pilates Wonder Woman! Breathable mesh tank has a built-in bra which makes it comfortable and stylish. The super soft mid-rise leggings feature distressed foil print that add a special spark to every move that she makes. Wear this outfit to the studio or top it with your favorite sweater for an effortless around-the-town look. Yoga tote bag will easily take you from the studio to the office and around town. Vibrant colors, exquisite craftsmanship and practical design will make it your favorite accessory. The bag features pockets for a yoga mat, tablet, water bottle, workout clothes and so much more! It also comes with matching shoe and dry/wet bags so that you can stay organized no matter where life takes you during the day. Don’t miss your chance to win a gift basket full of Pilates goodies listed above and sign up for a free Pilates challenge. We all know that carving out time for a session at the studio can be hard during the holiday season so I am bringing the Pilates studio to you. Pilates gifts and video workouts will get you motivated to stay on track with your practice during the holidays.